Check out these 4-Packs of Holiday Washi Tape for $3.99 (Retail $12.99). If you're looking for the perfect tape for wrapping gifts, crafting or scrapbooking, our assortment of washi tape is sure to have the colors and patterns you need. 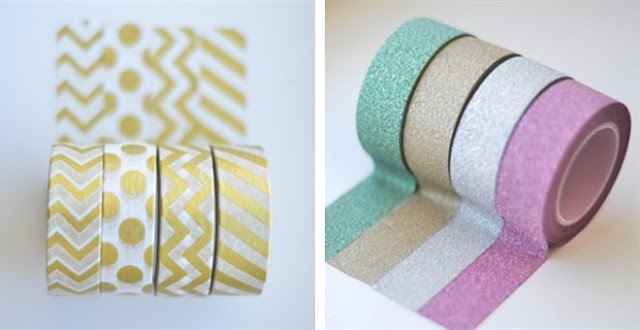 Turn plain packaging into something special with vibrant washi tape. Wrap your package in plain white or brown kraft paper, and then replace your ribbon with washi tape!